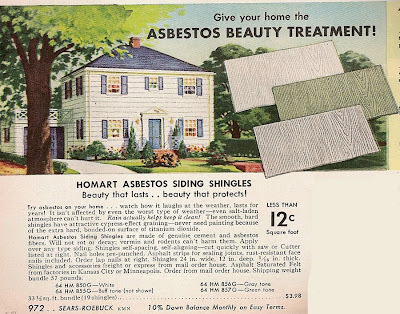 Asbestos ... beauty that lasts ... beauty that protects ... beauty that kills! 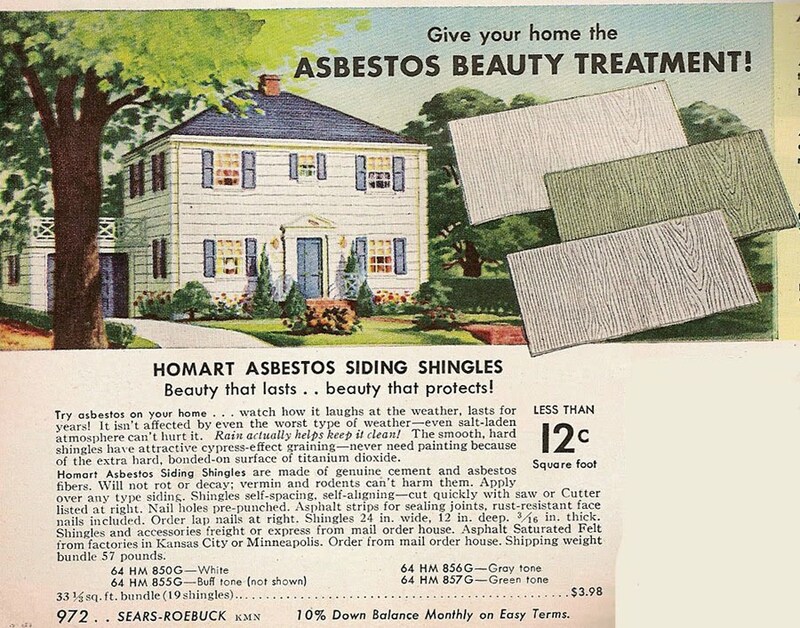 Try asbestos on your home ... watch how it laughs at the weather ... and at that unexplained breathing condition you've developed. All for less than $0.12 a square foot! While we all might giggle at the 1950s-ians and their asbestos products, lead paint and strange penchant for marshmallows in entrees, I'm sure our grandchildren will have plenty to mock us with. My bets are on aspartame, toothpaste whitening ingredients and Prime Minister Justin Bieber. What do you think? 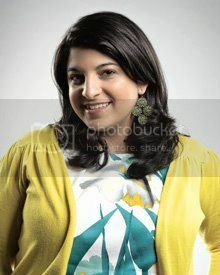 What will the 2010s (is that what we're calling ourselves? Maybe, the O-10s? Two-tens? Any word on our brand?) look like fools over? And speaking about being smug and / or shamed - one person has just won the right to get into the fetal position be very proud - the winner of my draw for the Good Housekeeping Book of Salads. And that person is Pattie - Chicagoland, IL! Congrats, Pattie! Your dream of wowing friends, family members and evil spirits with tomato aspics and a recipe called "Ice Cream Salad" that actually involves eight radishes (no lie!) is about to come true! Yay! I don't even want to know what we're doing wrong (besides how we treat gay people). Ignorance is bliss? Oh my gosh! Be still my heart! I am thrilled beyond words!!!!!! I'm with you on the aspartame guess. Splenda is no different. Congrats to Pattie. I thoroughly enjoyed the 50s experiments. I didn't need a cookbook since I found my mother's and read it straight through. One drawback? I now have an insatiable need to eat lots of bacon. Because the author BELIEVED in the power of bacon. Eggs and mayonnaise, too. But I can't stop thinking about her advice to never throw away bacon grease. Use it for another day in some way! Anon - Sad and true. Laurie - thanks! I, too, am now bacon-addicted thanks to these cookbooks - and overflowing in bacon grease (internally and externally). My husband's parents' 1890s farmhouse is still completely clad with that stuff! I posted the bacon cookie link as 'anonymous' as I was unable to post using my google account. Tired, didn't think of identifying myself within the comment section until after I posted.